Just when I think I've decided which lens is my most favorite, suddenly I change my mind! Currently, it's my Pentax DA 18-135mm. Not long before that, it was my Sigma 70-300mm Macro. I still have several "favorites, but I'd be hard-pressed to single any one of them out as my "Most Favorite." I've still got a Pentax DA 18-250mm that I've yet to put through it's paces. I'm going to put it on one of my K-30 bodies and leave it there and force myself to take it along on some of my occasional excursions. I've shot a few test shots and they all look good.... nice and sharp, although it starts to fall off a little at the far end. I've got some nice older Pentax glass that will pretty much hold their own against just about any of the newer lenses. Some of the "F" and "FA" series lenses are absolutely remarkable! But, at least I can say I've culled out all the "less-than-acceptable" paper weights I've had for far too long! Re: My favorite lens keeps changing! i have a few old pentax lenses (asahi pentax takumar) and only 2 lens stand out, the takumar 58 1.4 and the 400mm f5.6.. both in m42 mount..
what i am looking for is the SMC 16mm fish-eye but not in a hurry to buy one since it is hard to find and currently very expensive. 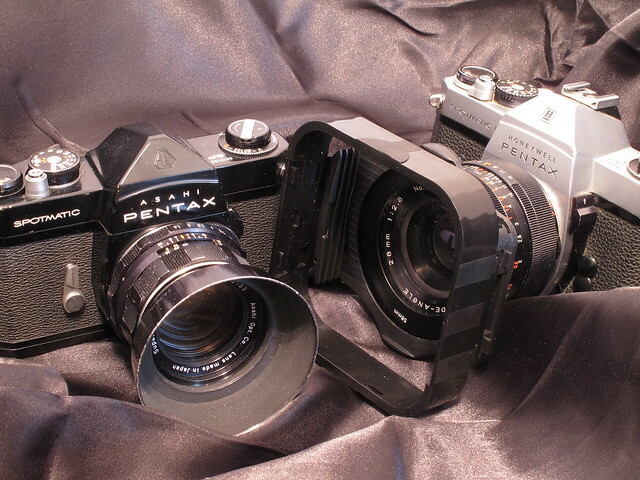 I think my favorite manual focus Pentax lens is my Pentax-M 100mm f:2.8. So very sharp and that famous, solid-as-a-rock quality of build that those older Pentax lenses had. My favorite Pentax lens, the Takumar 8-element 50mm f/1.4, has been the same since the early 1970s. I liked that lens so much that for decades, it prevented me from buying a 50mm for my Nikon. That lens has long been one of the all-time favorite Pentax (Takumar) lenses and with good reason. I have my original Pentax-M 50mm f:1.4 that I bought with my Spotmatic back in the late 60's when I was in Vietnam. We stopped off in Hong Kong for some R&R and I bought the camera and three lenses. They all served me well for several decades, before the advent of the digital world. Why do you need to pick only one favorite? No one piece of equipment can do everything. I have favorites for different applications.